I want to know why we're not hearing more about this guy. 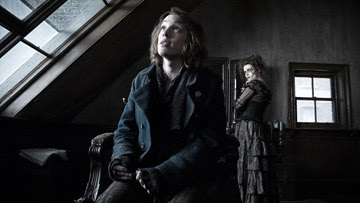 He just had his big screen debut as Anthony in Tim Burton's Sweeney Todd: The Demon Barber of Fleet Street, and he's one of the best things about the film. His voice is magnificent, and his rendition of "Johanna" is one of most swoon-worthy cinematic moments of the year. He's more attractive and more talented than current teenybopper heartthrob Zac Efron...but I guess High School Musical is a bit more teenybopper friendly than Sweeney Todd. For me anyway, he was the film's emotional core, serving almost as its conscience - the ray of light amidst the darkness. He does what as right where Sweeney does what is wrong, even though we still pull for him anyway. We sympathize with Sweeney but Anthony is the one we connect to. His romance with Johanna and quest to save her from the clutches of Judge Turpin was, for me, the most compelling aspect of the film - although I felt that Jayne Wisener's Johanna didn't really register as a character the way that Bower did. The film as a whole took my breath away, but their story is the one that made my heart melt. 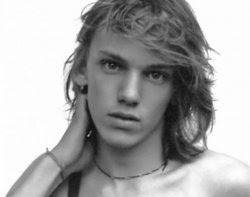 Bower deserves much more attention than he is getting. wow. i still have yet to see the movie, but you make it sound sooooooo great about Jamie's character! I've read some other websites where he is totally trashed! i have the entire album on my i-pod and i melt every time i hear "Johanna" I really do hope to see more of this guy!!!! Jamie was amazing in Sweeney Todd! He has a wonderful voice, and he's a good actor too. I love the song "Johanna." ummm wow. i totally agree with everyhing you said there. Bower is so amazing in the movie and grasps the essence of his character so profoundly. I think im in love!!! Oh my LORD. Seriously, he is AMAZING. Loved every second that he was on screen. Except for the face he always looked shocked :) But it was cute. If I was to write a musical, he'd need a part in it... for sure.